Mon-Thu 7:00 a.m. 7:00 p.m.
Fri 7:00 a.m. 5:00 p.m. 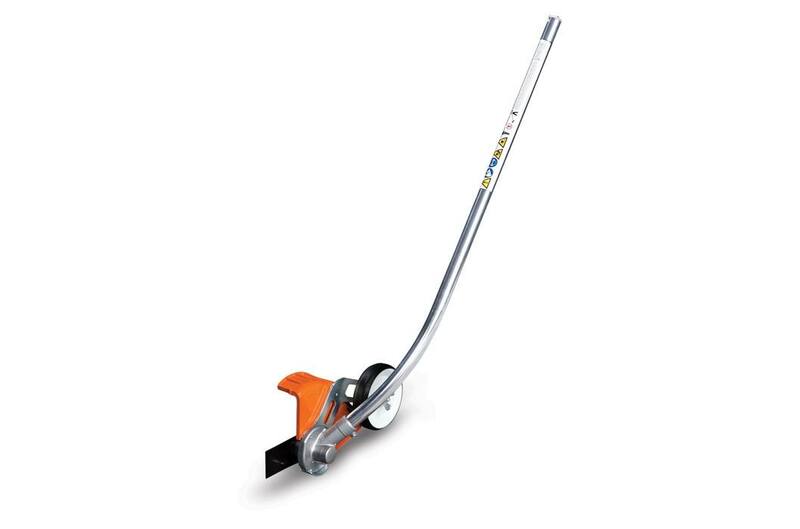 This STIHL KombiSystem curved lawn edger attachment cleans up edges along walkways and planting beds. For edging along walkways and planting beds, bring out your STIHL KombiMotor and slide in the FCB-KM curved lawn edger attachment. This STIHL KombiSystem attachment features an adjustable depth control wheel and built-in blade “sight" for precision cutting. Mon-Thu: 7:00 a.m. - 7:00 p.m.
Fri: 7:00 a.m. - 5:00 p.m.